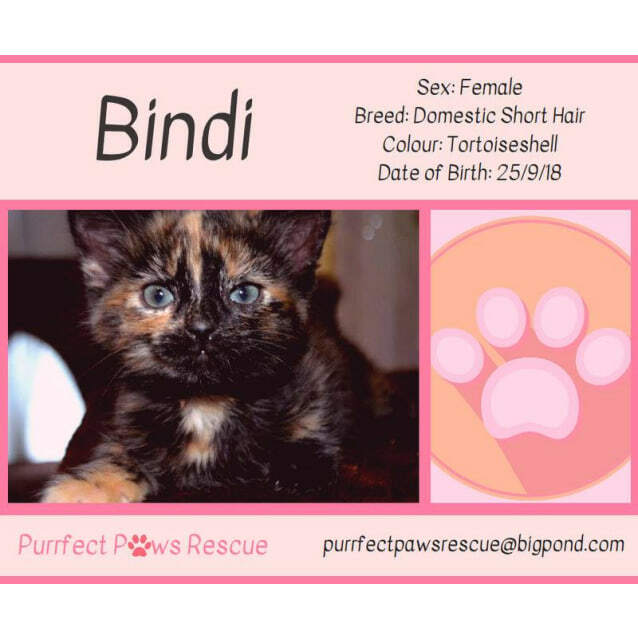 Bindi is a sweet little girl that is full of life and affection. Sweet. Affectionate. Playful. Inquisitive. Entertaining..........all words to describe this angel. She currently lives with three children and other pets so will adapt to a busy environment. An absolute sweetie. 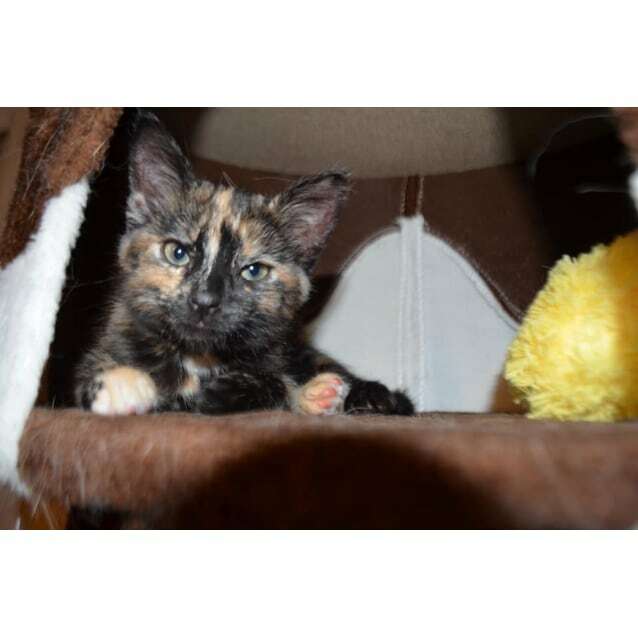 Her foster family love her dearly and know she will make an amazing pet.